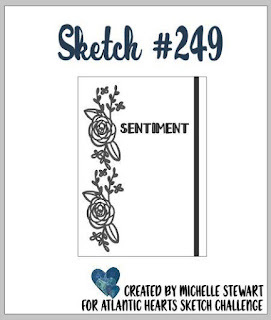 It's time for a new challenge over at Creative Knockouts Challenge #231! 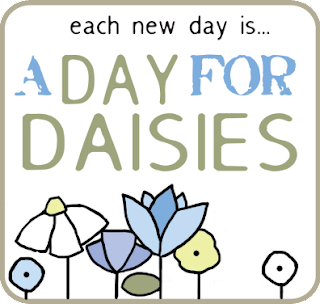 Our theme this week is "Flower Power" and our sponsor is "A Day for Daisies". 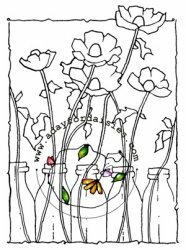 I chose to work with this beautiful stamp set called "Flowers In Bottles". I just wanted to keep it clean and simple. 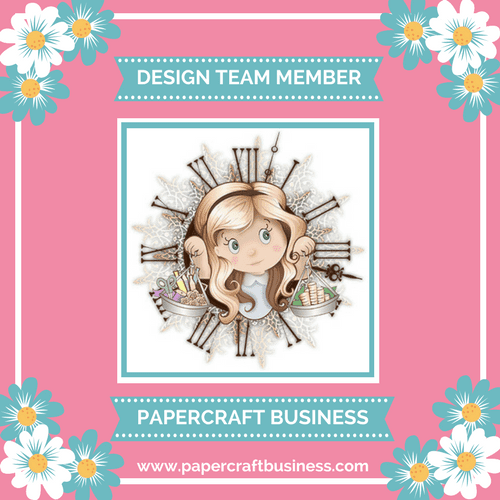 Welcome to our February Papercraft Business Challenge! 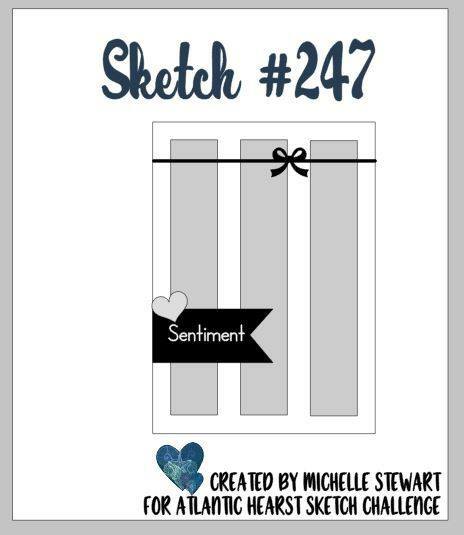 Our theme isAnything Goes (w/option: Valentine's Day/Love - for an extra entry to win the prize). 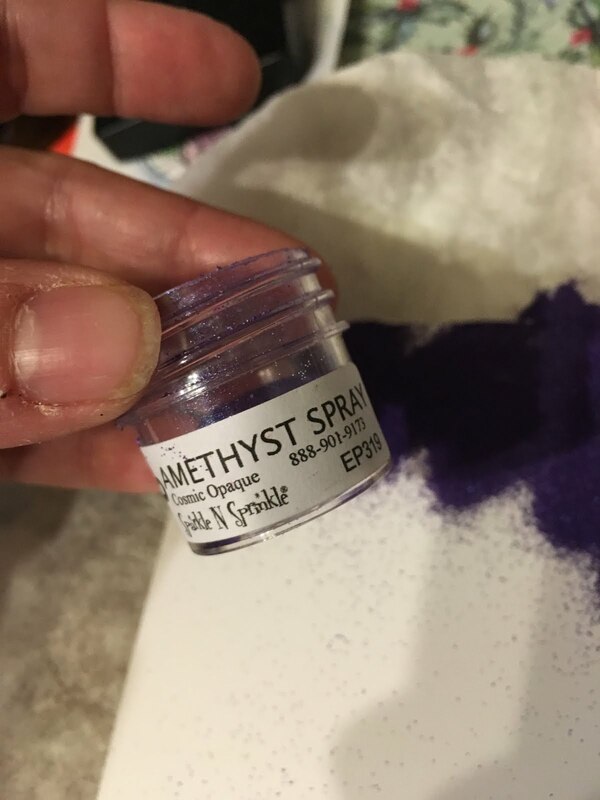 I'm sure you have something related to this season in your stash! I pulled out an old Stampin' Up! 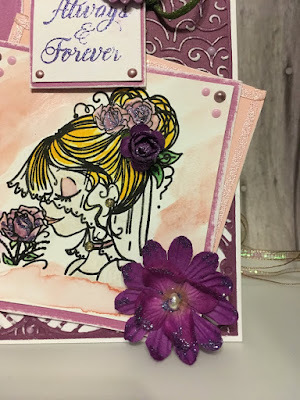 set called "Love Bandit" to create these fun cards! I'm also still working on using up my stash of supplies (which could take about 25 years! haha). Isn't it cute how you get to fill in the blank? Love it! I watercolored this sweet little squirrel!!! 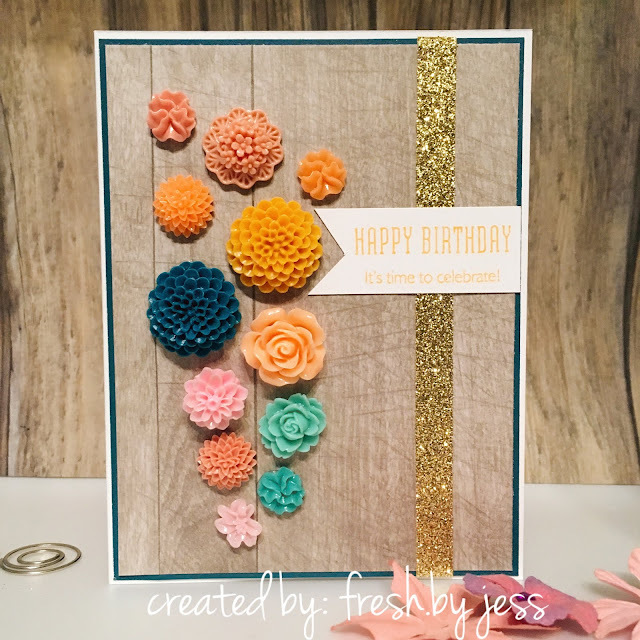 I dug into my stash of resin flowers to make this card and added a hint of sparkle! Welcome to our first Challenge of 2018 with Stick It Down! As a member of the card team, I was excited to create with this month's sketch! I hope you will play along with us this month! Good luck! 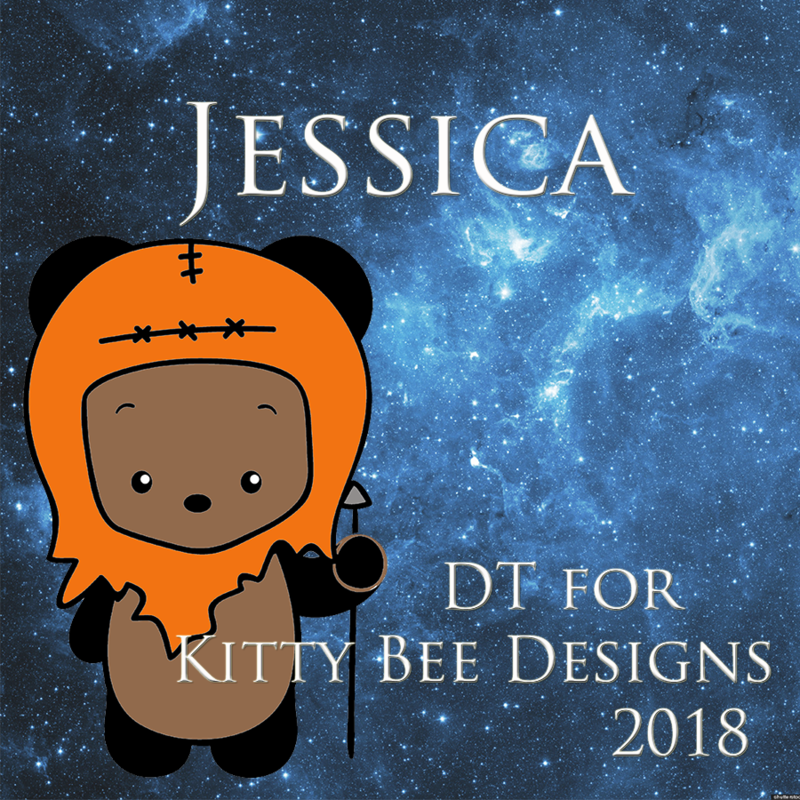 It's time for another challenge at Kitty Bee Designs! Challenge #110 is sponsored by My Besties and The Eastwind! 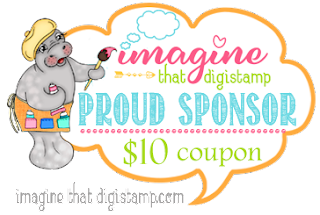 Our theme is "Food & Drink"
I chose to work with a digi called "Enchanted Unicorn Sweets" from My Besties! It's just too darn cute! 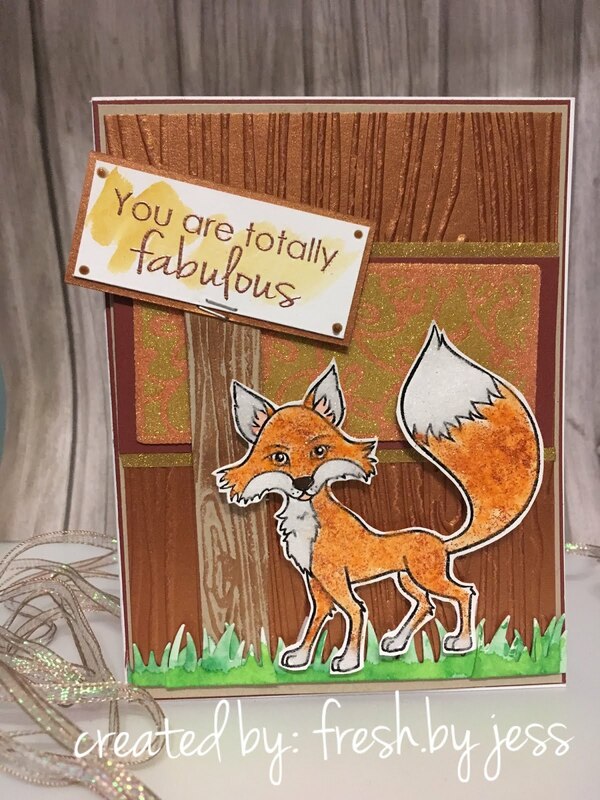 I'm here today to share a brand new card featuring a new Stamp Set from SparkleNSprinkle called "Hello Foxy". It's a really adorable set - I hope you love it too! This is actually a pretty simple card to recreate - I hope you go out and make one for yourself! I know you have a "foxy" friend who would love to receive this card, don't you? Let's create the framed background glitter piece! 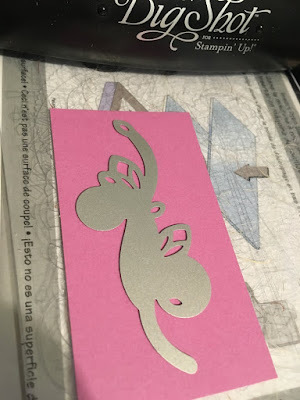 I started by attached a piece of 2.5" Tear-ific Tape to a piece of white cardstock. Pretty simple start, huh? Using the Tonic Studios Delicate Daisy Die, I used my Big Shot to cut through the adhesive back portion of the Tear-ific Tape - NOT ALL THE WAY THROUGH! 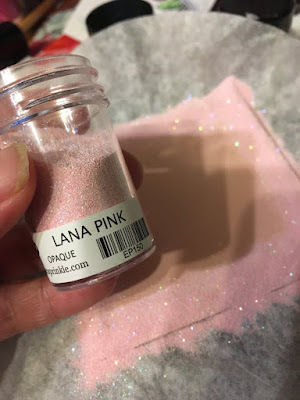 We want to create a Glitter Inlay Technique! 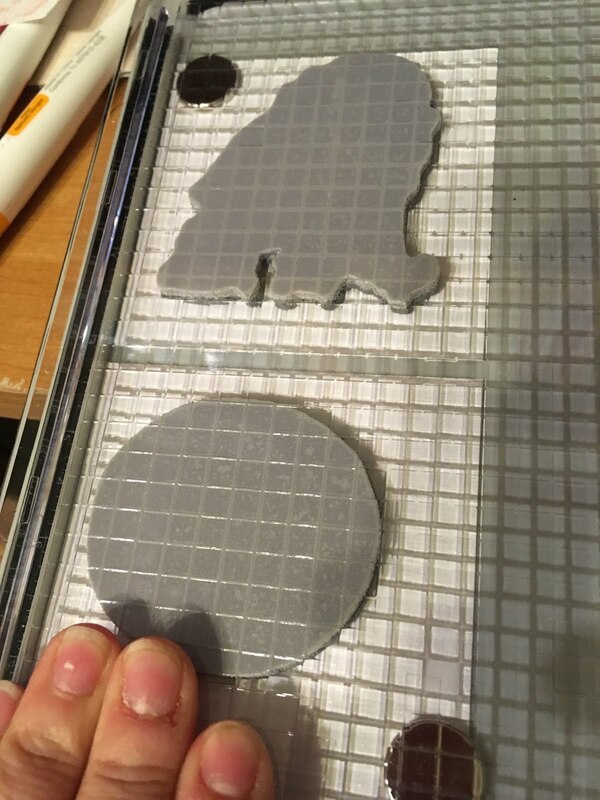 You may have to play around with your own diecutting machine to find the right "sandwich layers" to only cut through the top portion. 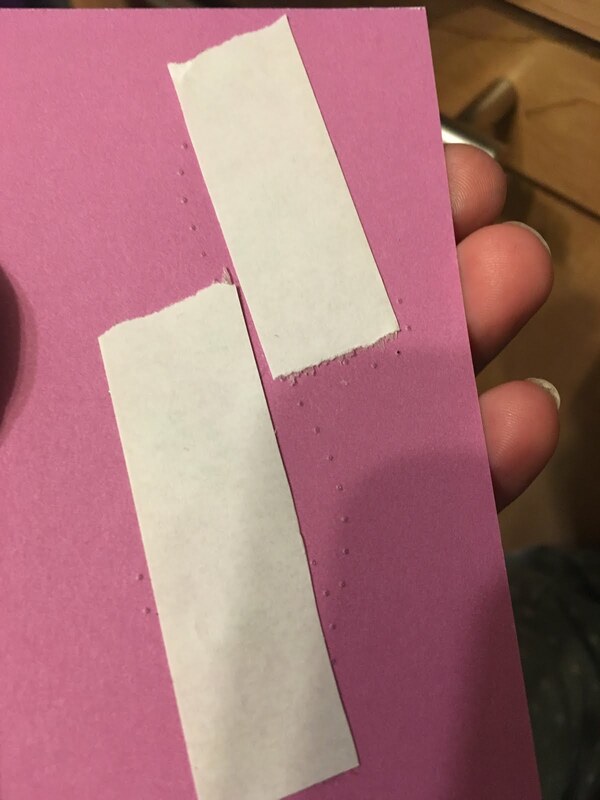 Using a paper piercing tool, I removed the cut backing areas of the Tear-ific Tape gently to expose the adhesive below. It's super sticky stuff! Once I had it all removed, I sprinkled on the 24kt Gold Microfine Glitter (oh so soft and suede like!) and burnished it into the adhesive well - being careful not to dislodge the remaining protective backing. 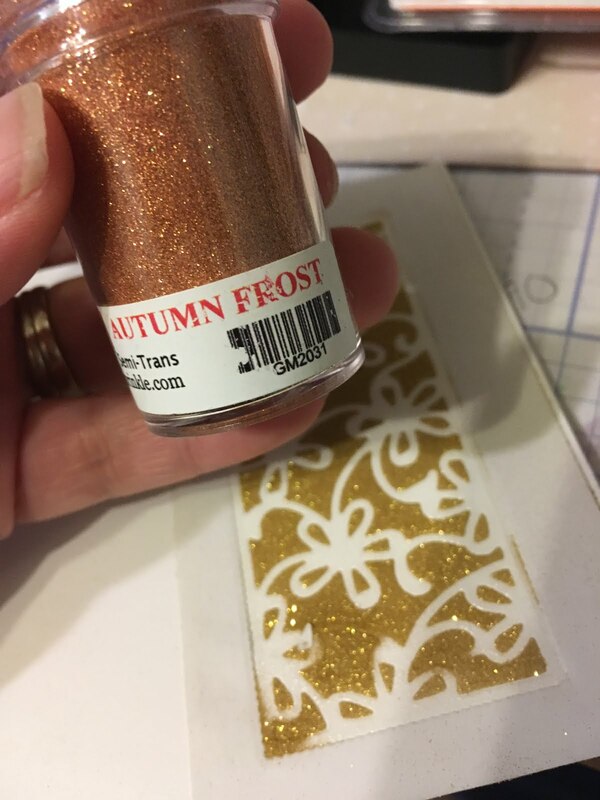 After I removed the excess glitter, I repeated the steps with the remaining backing, this time using Autumn Frost Glitter. Here you can see the gorgeous background this creates. I just love this technique. 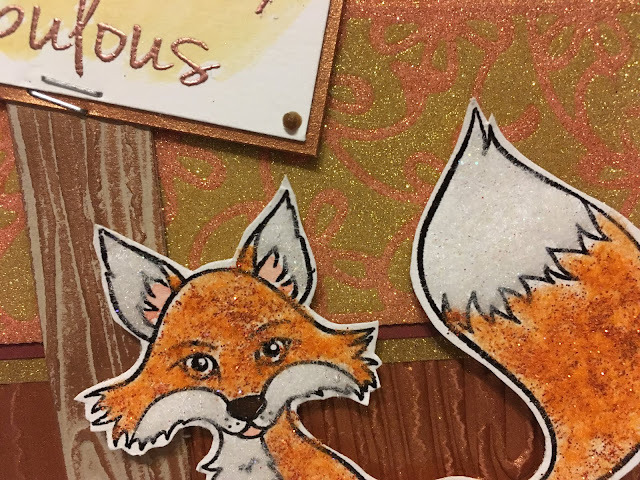 I added a mat of metallic copper cardstock behind the panel and another mat of 24kt Gold Edged cardstock. 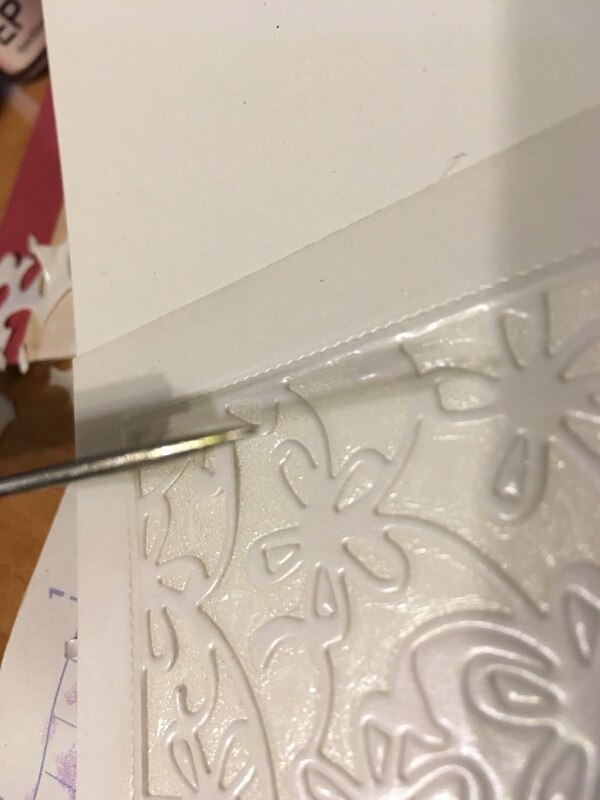 This technique is simple - apply 1/4" Tear-ific Tape around the edge of your paper (right up to the edge!) 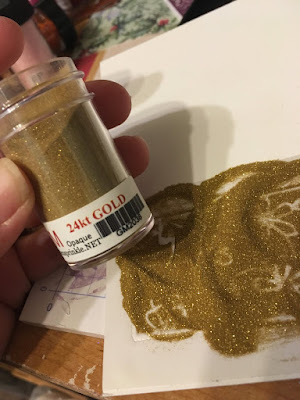 Remove the backing and sprinkle on your Glitter (I used the 24kt Gold!) and burnish well. Super simple - but super effective! I started my fox my stamping with Versamark Ink onto white cardstock (first rubbing the cardstock with my Anti-Static Bag!) 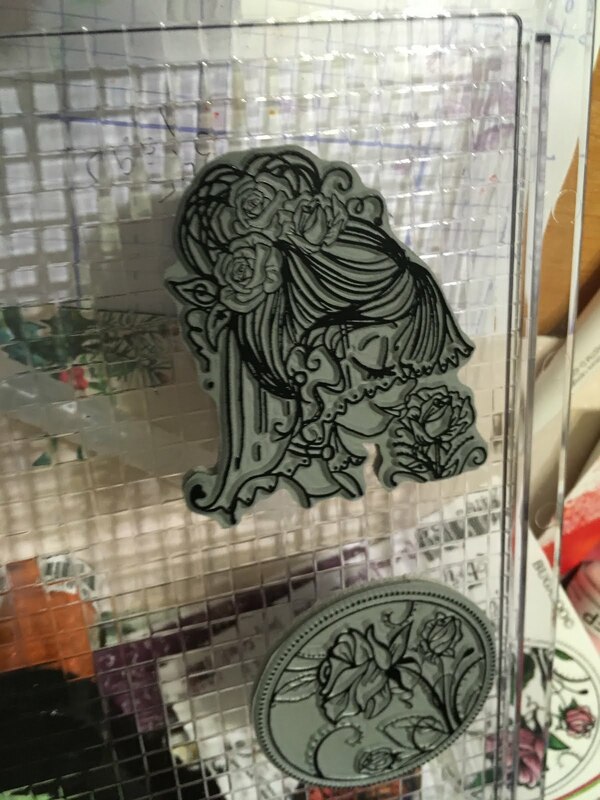 then heat embossing with Black Detail Embossing Powder. Next, I applied my Nuvo Medium Glue Pen all over the fox's body and added Autumn Sparkle SparkleNSoft (aka flocking with glitter added!). 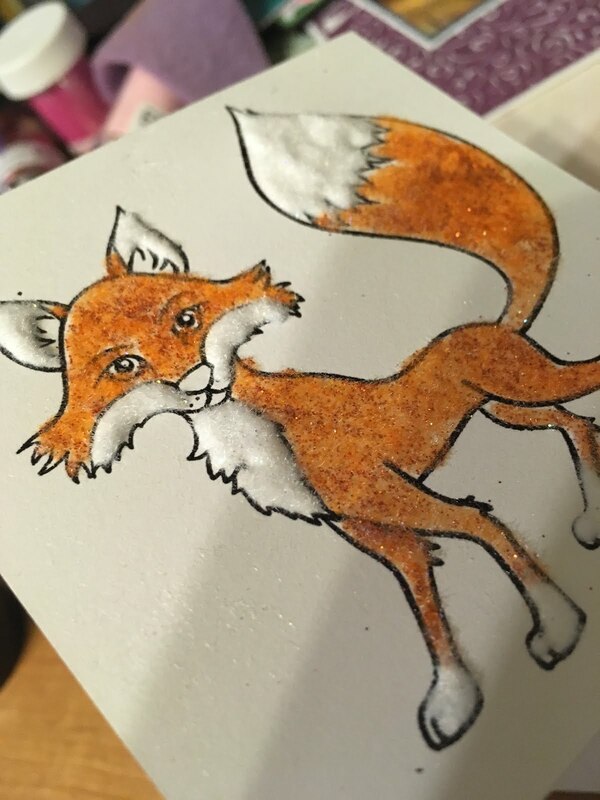 He was looking pretty foxy at this point, but I wanted the white parts to stand out even more, so I added a VERY thick layer of Nuvo Deluxe Adhesive onto the "white" areas, then sprinkled on the Twinkling Clouds SparkleNSoft. I set the little guy aside to dry and went to work on my sign. 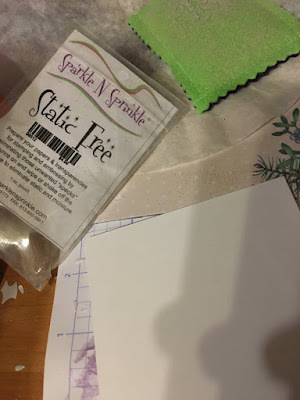 The sign came to me as I was creating the background! I had used a woodgrain embossing folder to emboss a piece of Metallic Copper Cardstock - then I thought, "hey, a sign is a perfect way to do the sentiment!". So that's what I did. I grabbed a scrap piece of kraft colored cardstock and embossed with the same folder. Using the Nuvo Embellishment Mousse in Cosmic Brown, I slightly "distressed" the wood of the pole. 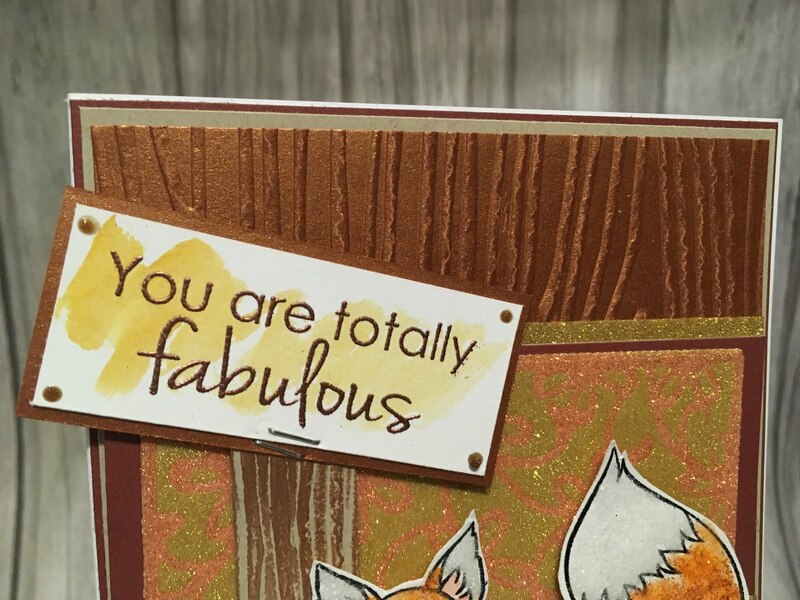 I stamped the sentiment in Versamark Ink and heat embossed with Copper Peddler Embossing Powder (I think this is my new favorite color right now!). Once I realize my little guy would be outside, I needed to add grass! I used a Lawn Fawn die from my stash and cut some white cardstock. Then I watercolored the grass using the Nuvo Aqua Flow Pens in Spring Meadow and Autumn Woodland (I like to mix my colors on an acrylic block first as a paint palette, then paint with an Aquapainter pen!). 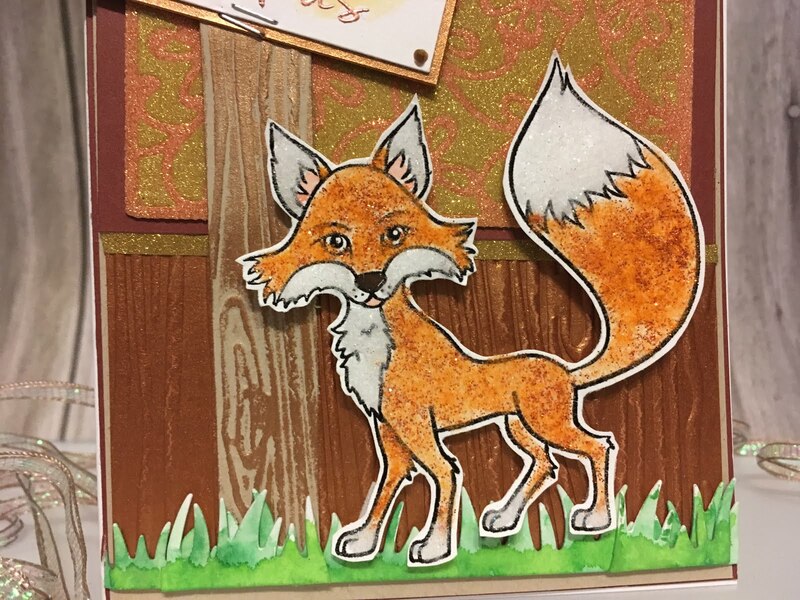 I gave the little foxy's ears a wash with the pink color from the Spring Meadow collection and the sign a hint of color with the yellow. His nose was colored with the brown Aqua Flow Pen from the Autumn Collection. 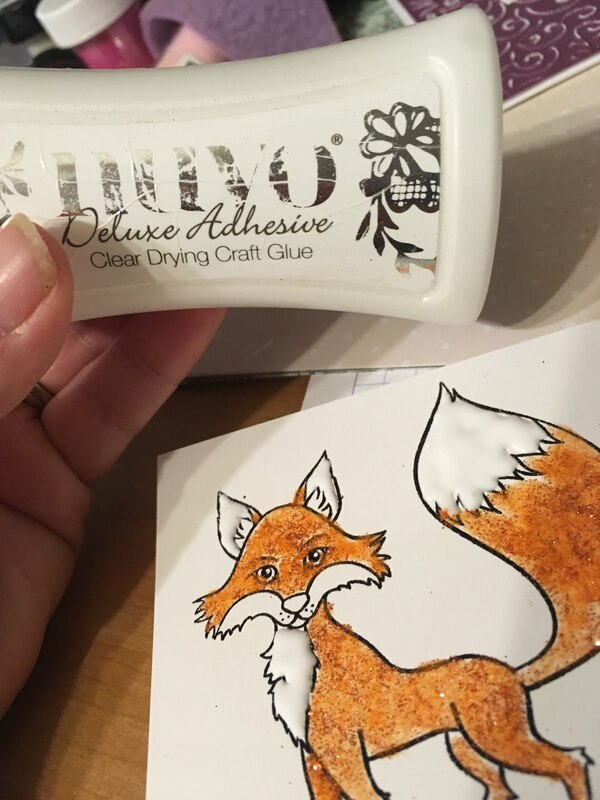 I fussy cut out my fox and popped him up with some 3D foam tape. All the layers were attached using 1/8" Tear-ific Tape. Nuvo Crystal Drops in Dark Walnut were added to "nail" the sign to the card (haha) and a decorate mini staple attached the sign to it's pole. As always, I hope you loved this card. I always have fun creating them. It's time for a new challenge over at Creative Knockouts Challenge #229! Our theme this week is "In Stitches" and our sponsor is "Imagine That". 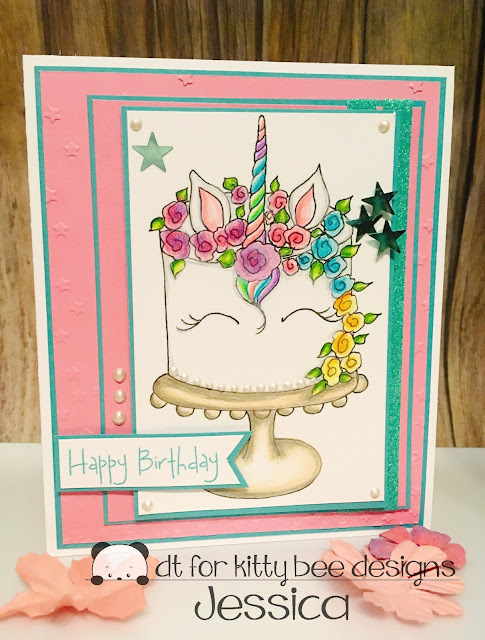 I was excited to create with this super cute stamp called "iChihuahua". How fun! Once again, I was playing with Stargazer! Welcome to our January Blog Hop featuring artwork that welcomes in 2018, featuring new products from the Seasonal Inspirations 2018 catalog. 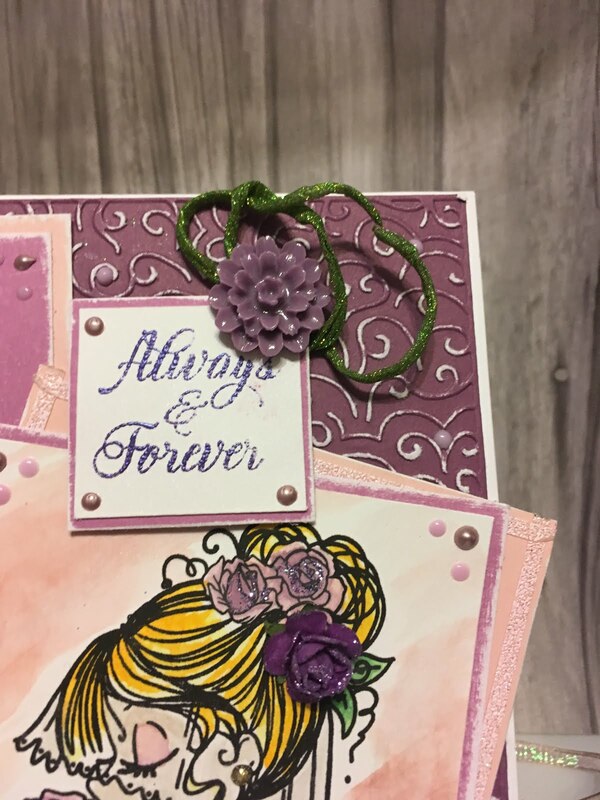 To purchase any of the items seen in our blog hop today, contact your local consultant (my website can be found HERE) to place an order. Jessica - you are here! I just loved this little Stargazer set and figured it was a perfect way to "BLAST OFF" into the new year! 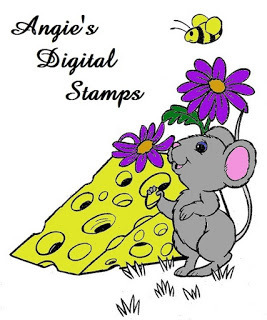 :) I stamped the images onto white cardstock and simply watercolored the images. I added a bit of Glitter Marker accents to the images for some sparkle. I used the Confetti Stars embossing folder to add some texture to the canary cardstock. Guess where the pattern for this card came from? Our NEWEST how-to guide, Make it From Your Heart Volume 4!!! I am the last stop along the way! 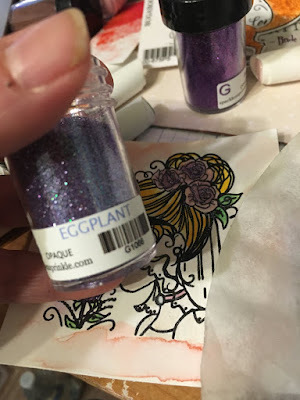 You can start at the beginning over on Michelle's Blog! Thanks for hopping along with us - we hope we were able to inspire you to get creative using some of the designs, products and techniques seen along the way. 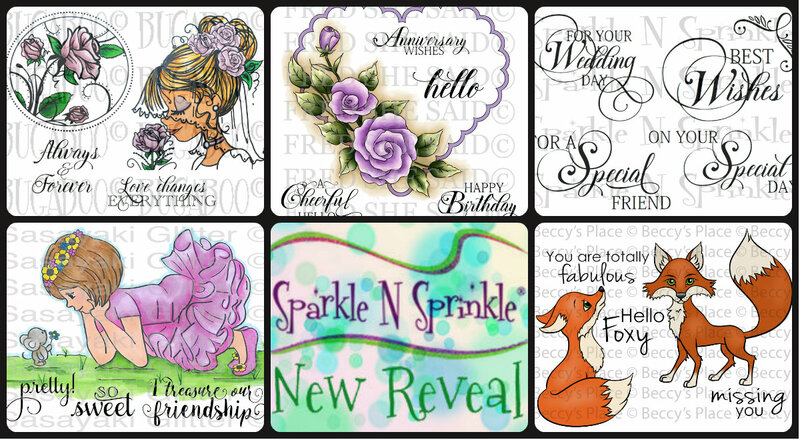 We hope you will join us again next month when we will be featuring projects that are inspired by love and friendships. So mark February 15th on your calendars and hop along with us. One GRAND PRIZE WINNER will be announced on the 17th of the month. 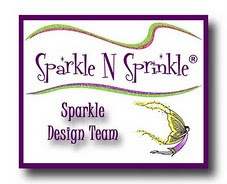 One of the Designers is our Mystery Host and the winner will be selected from comments left on her blog. 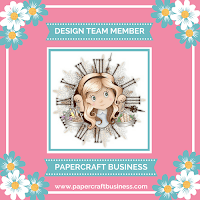 You must leave acomment on each of the Designers' blogs in order to be selected as the winner, as you never know who the Mystery Host will be. This is checked for compliance. The GRAND PRIZE WINNER will be announced on the SNS Facebook page and on the SNS Blog and will receive a $20 Gift Certificate to the shoppe! Jess ---> you are here! The Creative Challenges run from the 1st - 25th of each month. A SNS image (either rubber or digi) is required. If you don't have any yet, there are freebies located on the Home page of the SNS website. Just scroll down the page a bit to see them. Please review all the Challenge Rules before submitting your photo. 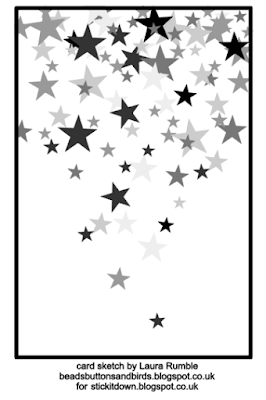 We can't wait to see what all you create using SNS images. WHEW! 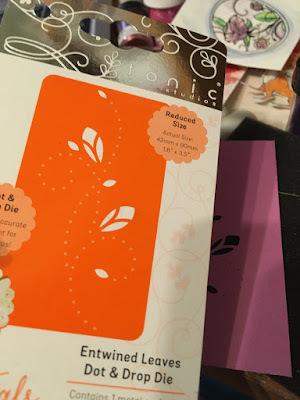 Where to start on this card? There's a lot going on - but I will break it down for you. I started by creating my background. I used a piece of purple cardstock and grabbed the Tonic Studios Essentials Filligree Affections Embossing folder & Die Set. 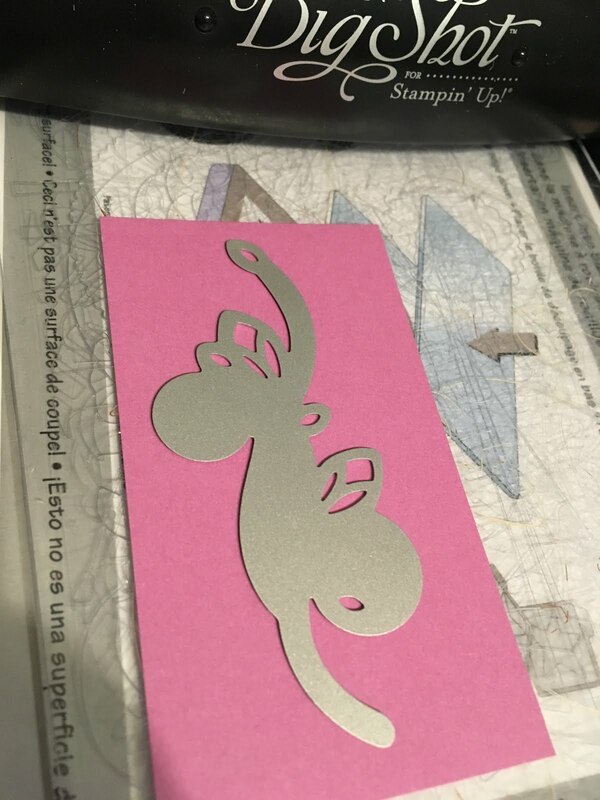 First, I die cut the piece of cardstock, then embossed it! I love this set - it's soo pretty! I did a little distressing to the panel with some sand paper. I really wanted the white core of the paper so show through. I set that aside and went to work on the rest of the card. 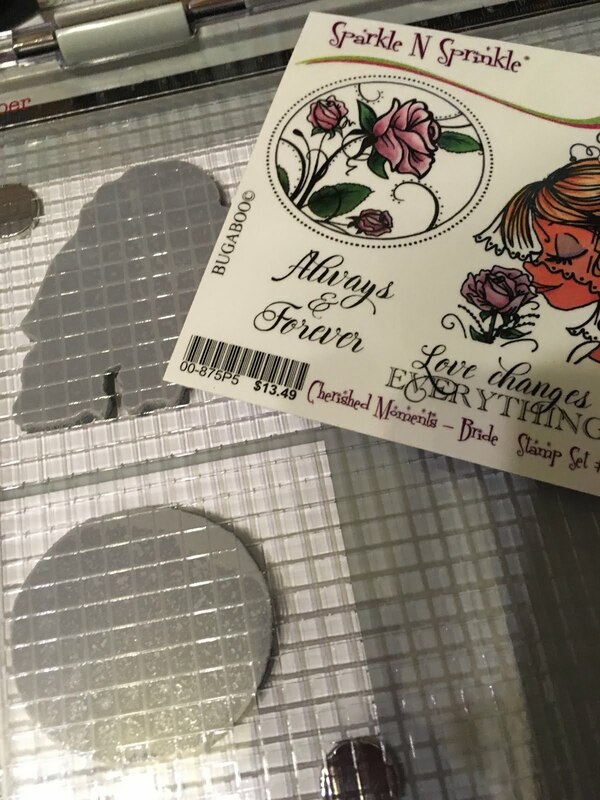 I added my Cherished Moments stamps to my Tim Holtz Stamp Platform (I stamped 2 at once for a later project). I love how easy the platform makes it to perfectly stamp your images (even when you don't ink it up perfect the first time round!). 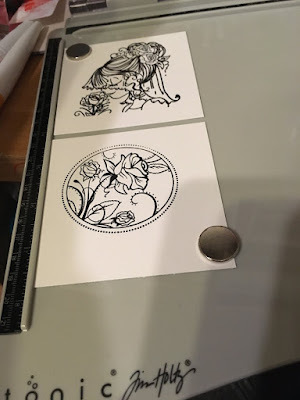 I used Versafine Onyx Black Ink to stamp the images. Pretty awesome, huh? I used the Nuvo Aqua Flow Pens from the Spring Meadow & Summer Holiday sets to color up this beautiful bride. 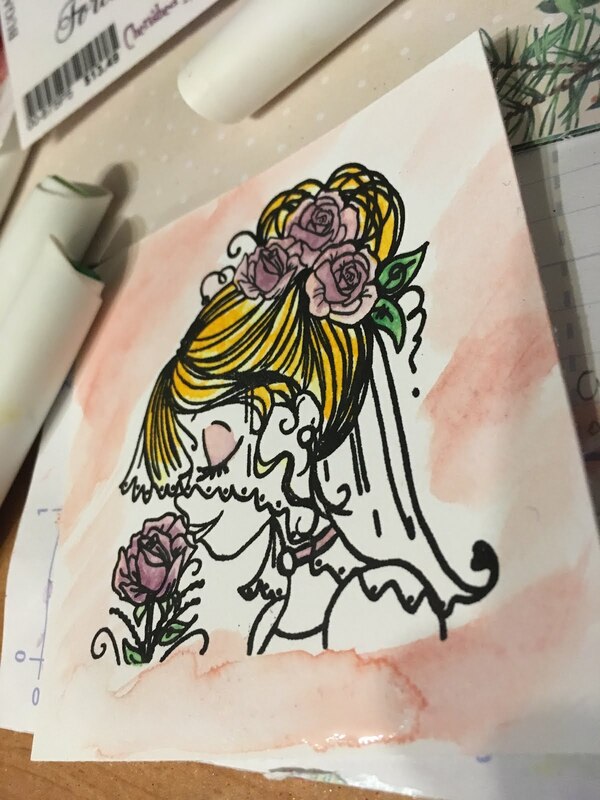 The way I love using the Aqua Flow pens is to add some color to a clear block, then use a paint brush (or aqua painter pen) to add color. Kind of like making my own color palette. 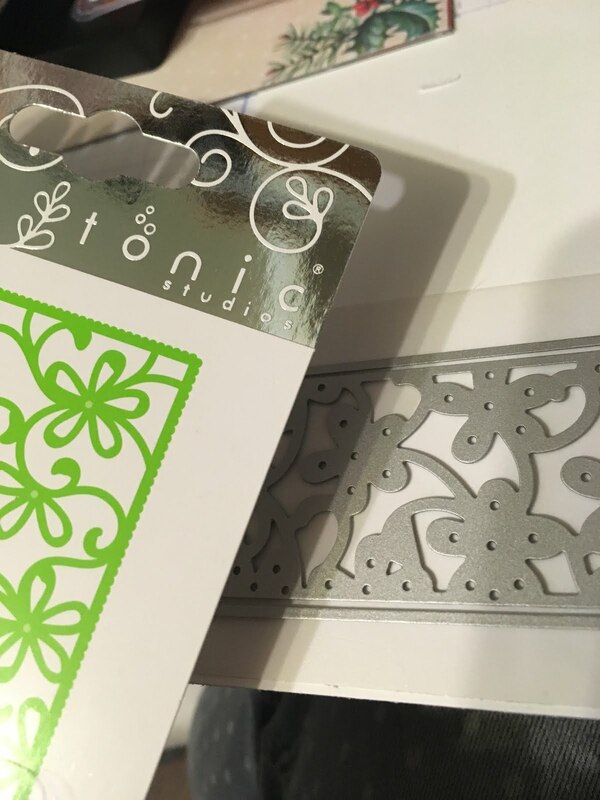 Check out this super cool new die from Tonic Studios - the Entwined Leaves Dot & Drop Die! 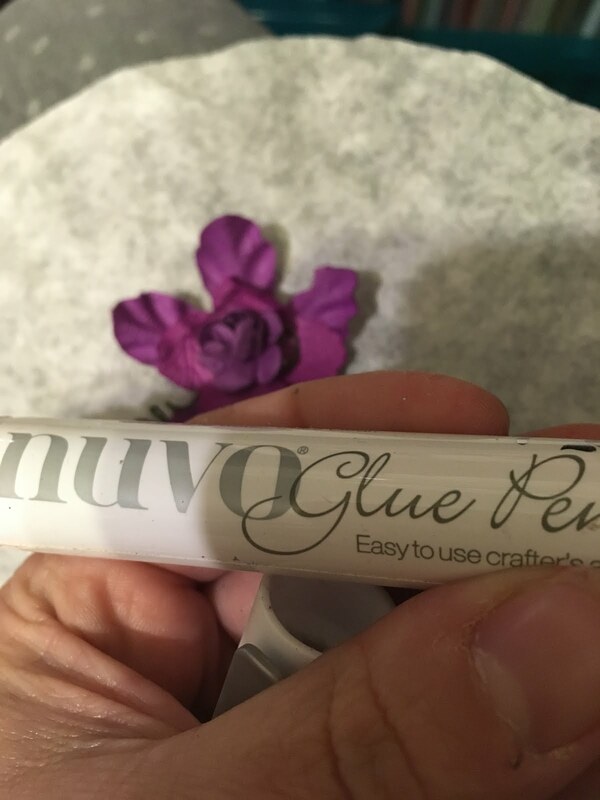 It cuts your image....and then leaves a trail of dots where you would apply your Nuvo Crystal Drops!!! How cool is that? 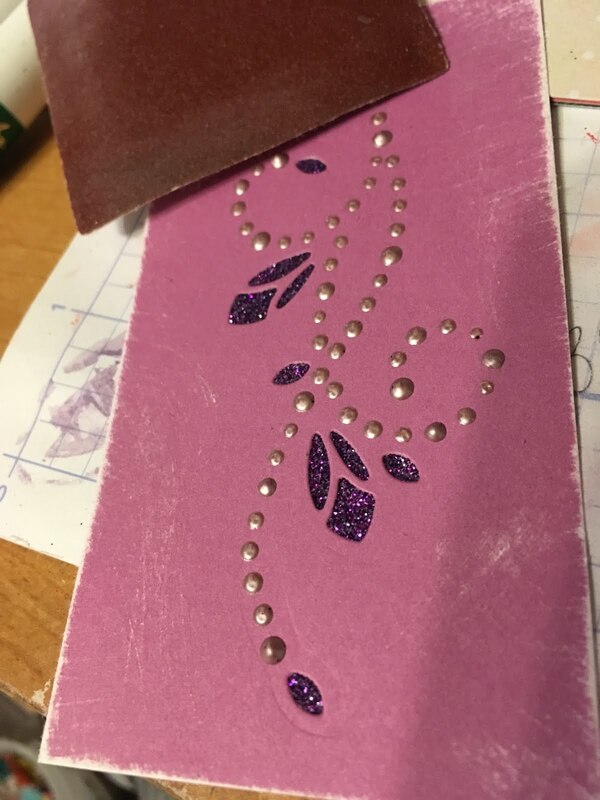 Again I distressed the piece slightly to add extra texture. 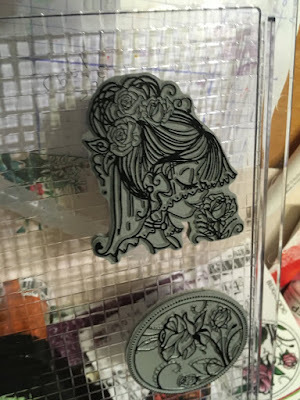 Isn't this a cool die? I wanted to add a little extra "something" to my background layer pieces, so I applied strips of 1/8" Tear-ific Tape to the edges of my cardstock and applied Lana Pink Embossing Powder (heat setting of course!) 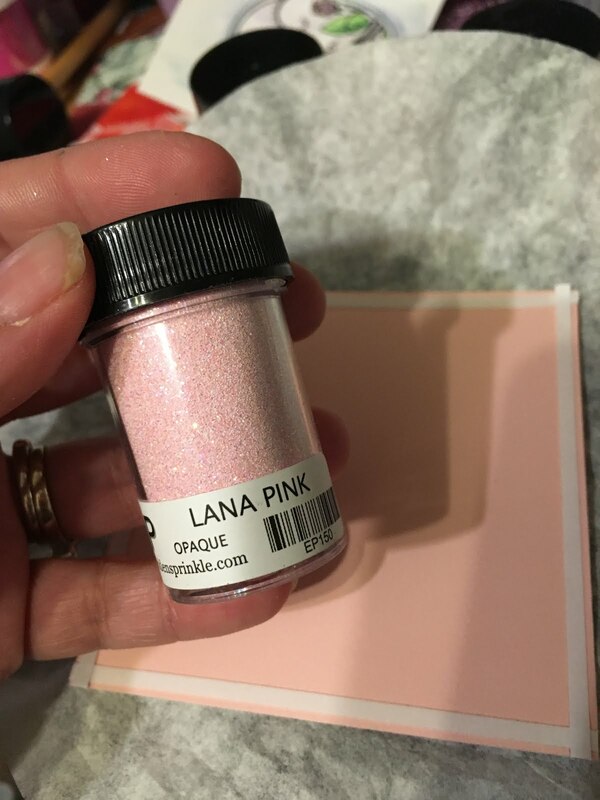 I'm really lovin' this shade right now! So pretty. 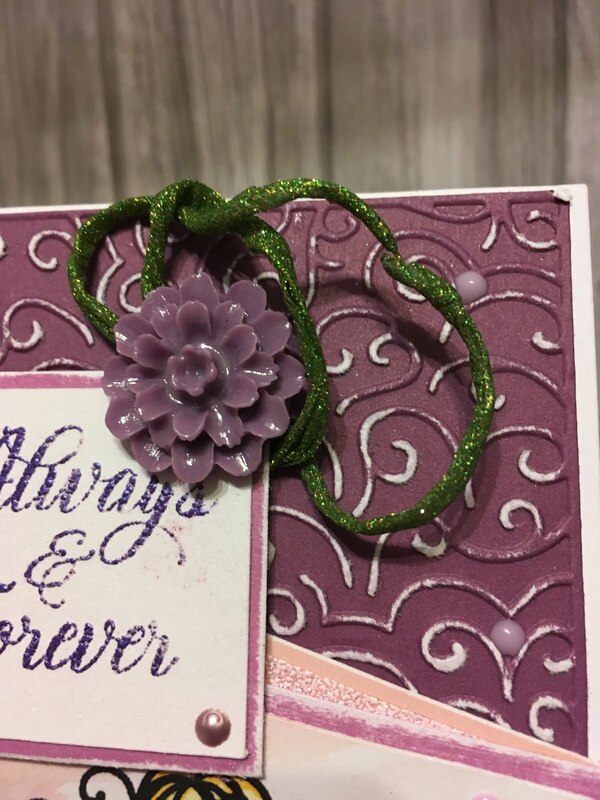 For the sentiment, I stamped it onto a piece of white cardstock with Versamark Ink and embossed with Amethyst Spray Embossing Powder. I layered everything onto pieces of distressed purple carstock (I really got into the sandpaper for this project! hehe). We're into the home stretch! Up next, the flowers! 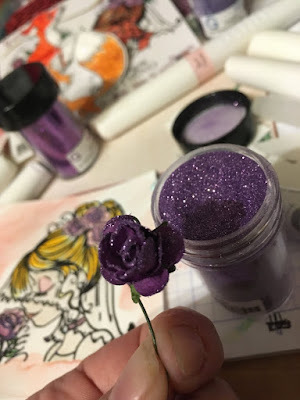 Once again I used the Medium Nuvo Glue Pen to adhere some of the glitter to my paper flowers. 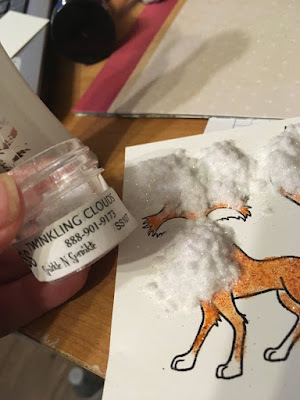 Easy peasy technique! 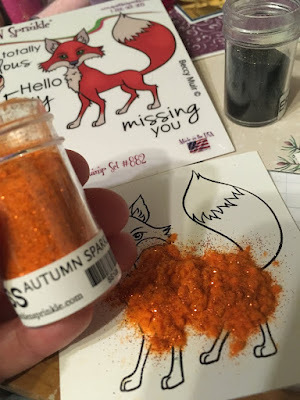 One last technique I used was from Demo Donna's video on making glitter twine last year! You can find the full video HERE on how to create it. 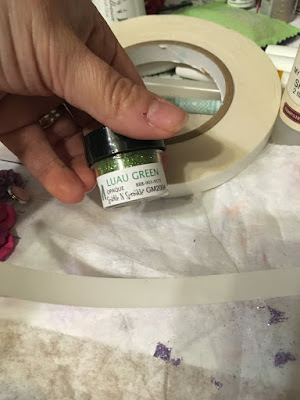 I used the 1/2" Tear-ific Tape and Luau Green Glitter to created the twine. 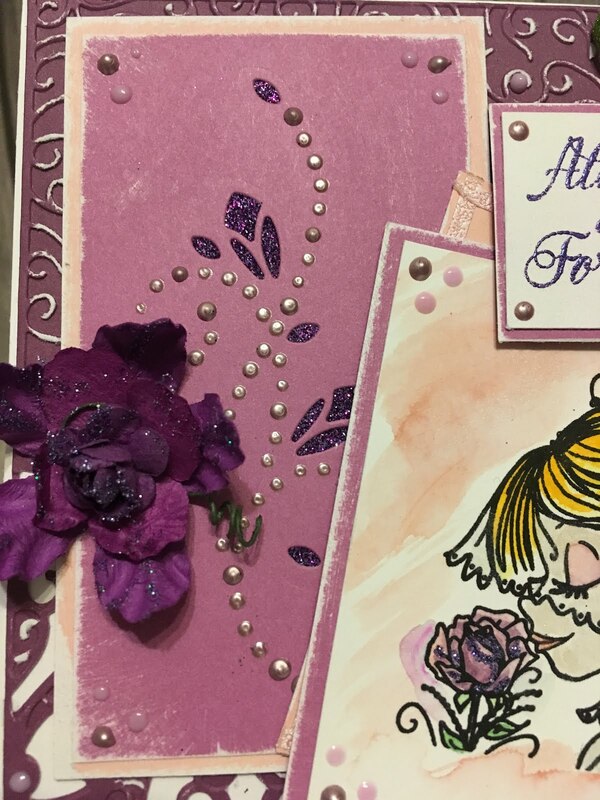 All the layers were attached with our ever famous 1/2" Tear-ific Tape! 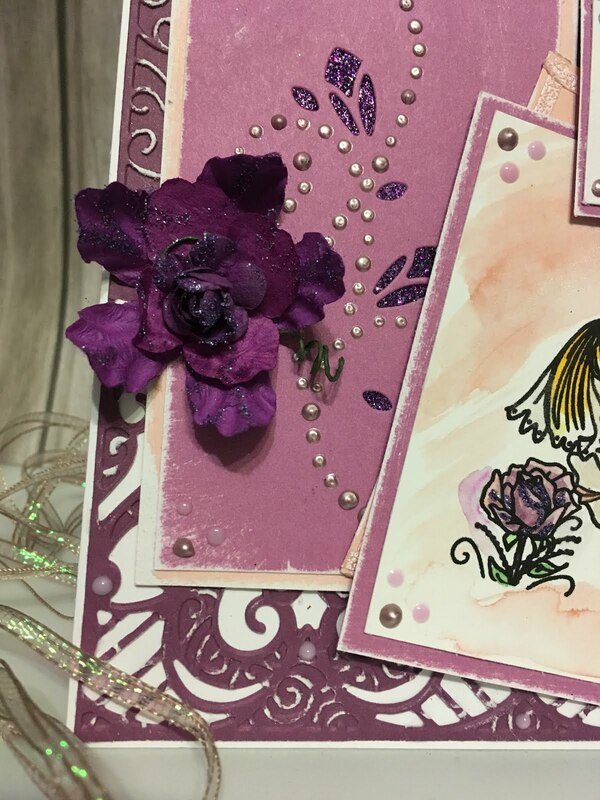 Finally, Nuvo Crystal Drops in Raspberry Pink and Sweet Lilac were added. The cabochon flower, paper flowers and flower in the bride's hair were adhered with Nuvo Deluxe Adhesive. 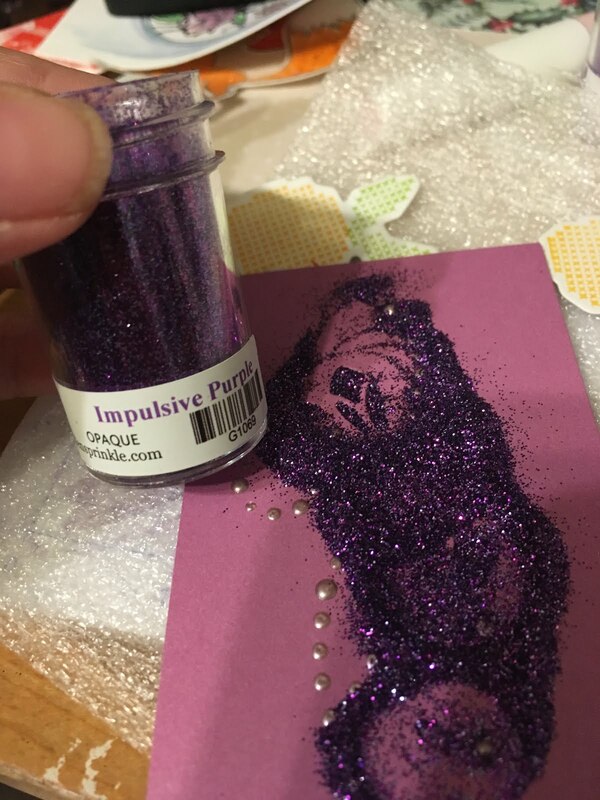 I also added an extra bit of Impulsive Purple Glitter to the bride's stamped flowers and Nuvo Crystal Drops in Honey Gold on her jewelry. 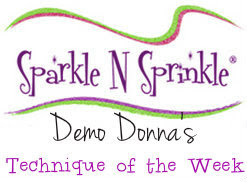 The next stop on the SNS Blog Hop is the AMAZINGLY talented Donna and you can find her blog HERE! See ya real soon and if you have any questions on my instructions, please ask away!! I'm happy to answer.